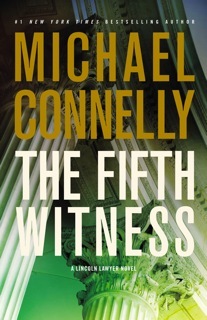 CHICAGO – Michael Connelly is one of the most successful thriller writers alive, winning nearly every major award possible for his genre. 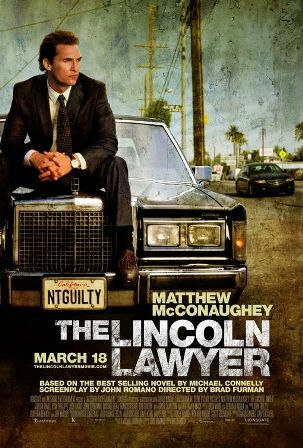 He may be best known for a series of books featuring retired L.A. cop Harry Bosch but one of his other beloved characters, Mickey Haller, is making it to the big screen first in “The Lincoln Lawyer” with Matthew McConaughey. The thriller co-stars Marisa Tomei, William H. Macy, Ryan Phillippe, Josh Lucas, and Bryan Cranston and hits theaters this Friday, March 18th, 2011. It was directed by newcomer Brad Furman and the author of the source material recently sat down with HollywoodChicago.com to discuss watching Mickey Haller come to life on the big screen. HollywoodChicago.com: How involved with the production are you? Michael Connelly: I don’t want to exaggerate it — I would say very limited. And it’s not like I was cut out or anything. I made this deal five years ago and they said to me that they wanted me to consult on this screenplay but, by the end, they did fourteen drafts and I had to keep writing books. So I didn’t see every screenplay. I saw some of the initial ones. I remember one version that I gave eight pages of notes. I was involved then. Then I kind of tapered off. About a year before they started making it, McConaughey read it and came on board and wanted to meet with me. We met and talked about the character and then had an ongoing and lengthy relationship about the character and stuff specific in the script. That was essentially it. Then when they filmed I went out to observe. HollywoodChicago.com: Nothing active? No notes then? Connelly: Well, they were in the middle of filming it when they wanted to change something near the end. They wanted to say what they wanted to say quicker. The writer was unavailable or on another project and they called me up and asked if I had any thoughts and I contributed my thoughts but it was very minor. I think probably my best involvement was just being supportive. I really liked the direction it was going because of the script and because they took a chance on a new director who had only done one small film that I loved. I was very supportive. HollywoodChicago.com: I would think that relationship with Matthew was important in terms of fleshing out the character. Connelly: He was really impressive to me, going way back, regarding his desire to….We have a mutual friend. And that mutual friend…it’s funny that I didn’t get this through normal channels; I found out from a mutual friend who said he wanted to talk to me about it. We exchanged emails and went from there. I would say this was ten months before they started filming. He was asking real detailed questions — What makes this guy tick? He was really on it. He was really well-prepared and I think it shows out in the film. He really owns that part. He’s not the same guy as in the book. 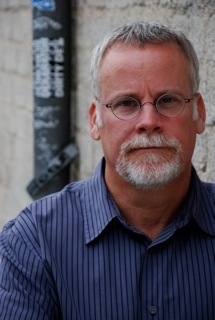 HollywoodChicago.com: What does he bring that’s different than what you envisioned when you wrote Mickey Haller? Connelly: I think the outer package is slicker, which I think works better in the film. I don’t spend a lot of time describing my characters. I describe key things that I think allow the reader to fill out the character in their head or attach it to somebody in their life or another movie star. The reading process is very individual. But I did say that Haller’s mother was from Mexico City and if you had to attach a movie star to it it would be more like Andy Garcia, not Matthew McConaughey. So, what he brings to it is that slick package that drives it home when the wheels come off. He’s slick. He has all the momentum. Man on a mission. And then the wheels come off and he really does look desperate. That, to me, is what is most impressive about the performance. HollywoodChicago.com: The film contains a major twist that most would have saved for the end but it comes halfway through. Connelly: I think the film respects the audience. They know what’s coming. What it is about is Mickey seeking redemption and getting out of this box — that’s what’s surprising about the movie, not the twist. HollywoodChicago.com: Do you think attorney-client privilege has led to flaws in the justice system? Connelly: I think no system is going to be perfect. But I think that for it to be perfect most of the time that you need those kind of protections. This is popular entertainment — a book, a movie. So, you’re going to have people who operate on a higher level of intelligence when it comes to gaming the system. It’s like Hannibal Lecter. How many Hannibal Lecters are really out there? There’s plenty of serial killers but how many are like Hannibal Lecter? You heighten all of those aspects. If you want to talk about the real justice system, it would be hard to operate if there were not these kind of protections — if an attorney could not rely on his client telling what he needed to know to mount the best defense. HollywoodChicago.com: How is it different from the book? HollywoodChicago.com: There is quite a bit of development at the beginning. Connelly: I’m very happy with the movie on all levels but I love the title sequence, the music at the beginning, and him just walking into the courthouse and we have several moments before he even gets into a courtroom. That sequence is so wonderful. HollywoodChicago.com: You don’t even see opening credits any more. Connelly: Right. It’s a very ’70s opening. HollywoodChicago.com: Would you write your own original screenplay or adapt one of your own books? Connelly: I’ve tried. And there’s probably a reason that I don’t have any script credits. I came to the realization before I sold this book that I should concentrate on being the best novelist I can be. And if I want to write scripts, I should not use my own. My process as a novelists is that I rewrite, rewrite, rewrite, and usually I turn in a book when I’m sick of telling myself the story. A few times, I took deals in Hollywood where I would write the first draft and I had a real hard time with it. And it’s not editing — I came from journalism, so I don’t think my stuff is sacred. I can chop stuff. It’s more like I’m tired of the story. I need to be inspired to tell the story. It’s a different skill set that I had to do badly a few times before I came out of it. With this book, it was the first deal I made where I didn’t want to even do the first draft. HollywoodChicago.com: Would you ever come up with a story that you thought worked better as a film? Or do you just think in terms of novels? Connelly: I have done that. I just haven’t had success. I even took a job-for-hire like three years. There was a TV show called “The Equalizer” and my draft for the movie is sitting on a shelf somewhere. So, once again, “Hey man, you’re successful writing books, why don’t you just write books?” It’s been a long time since I’ve done something like that. HollywoodChicago.com: What’s happening with that? Connelly: If it’s moving forward, I’m sure it’s with another writer. They didn’t like what I did; my take. HollywoodChicago.com: There are two more books with Mickey as the lead — if this thing takes off, have you been approached about them? 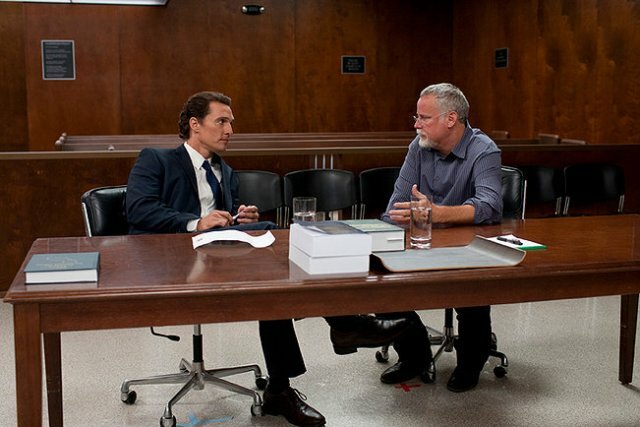 Check out Matthew McConaughey’s shoes in “The Lincoln Lawyer” when the film opens in Chicago tomorrow, March 18th, 2011.